Marius, tell Daniel to check FBScanner from IBSurgeon. It doest mostly what he wants to do with that “proxy” thing (and works with any FB version). Sinática Monitor uses the new monitoring tables in Firebird 2.1. It’s a database client just as any other. Ridiculously easy installation. No proxies to configure and maintain. Hey Cantu, thanks for the pointer! I’ll try it out next week, seems to be exactly what I was looking for. Because we can (guided by a wizard) create custom sql statements in our client application, it sometimes happens that one person creates such a complex statement that the firebid process is completely blocked by that select and other people are experiencing sloooow performance. Because we’re still bound to Firebird 1.5 due to certain circumstances, we can’t use sinatica, unfortunately. But it looks like a slick, high-quality product. 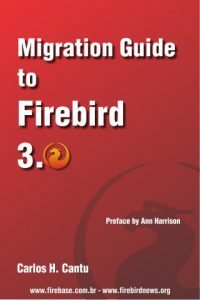 Hope we’ll be able to use Firebird 2.x soon.